We always get our ingredients from local producers and never use confectionery powders. Ice cream with biological Madagascar vanilla. Chocolate ice cream with unprocessed cocoa and 60% Belgian chocolate. 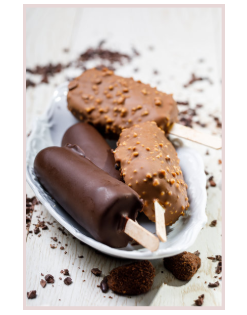 Ice cream with a full cheese cream flavor, cocoa cookie dipped in coffee liqueur. Original Italian cream with lumps of crisp chocolate and a vanilla aftertaste. Pistachio ice cream with natural Aigina pistachio. Coconut and pineapple flavor with almond butter cookie. Lemon flavor from 100% lemon juice and almond cookie. Sorbet ice cream with a rich mandarin flavor. Strawberry ice cream rich in natural strawberry lumps. Sorbet ice cream with a rich blackberry flavor. Sorbet ice cream with extra dark chocolate. Ingredients: water, bitter chocolate 70%, steviol glycosides from stevia, dextrose, stabilizer. Sorbet ice cream with a rich lime flavor and basil tones. Cocoa cookie with vanilla ice cream, dipped into milk chocolate with pistachio crocan. Cocoa cookie with chocolate ice cream, dipped into bitter chocolate. Παγωτό λεμόνι με επικάλυψη κίτρινης σοκολάτας και βουτηγμένο σε τρίμμα μπισκότου. Παγωτό βανίλια με διπλή επίστρωση πρώτα μέσα φυστικοβούτυρο και επάνω σοκολάτα γάλακτος με crocan φιστίκι. Παγωτό κρέμα με κομμάτια μπισκότου σοκολάτας. Παγωτό σοκολάτα με διπλή επίστρωση πρώτα μέσα βατόμουρο και επάνω σοκολάτα bitter. Παγωτό κρέμα στρατσιατέλα με βάση biscuits σοκολάτας και επικάλυψη γλάσο παγωτού σοκολάτας. 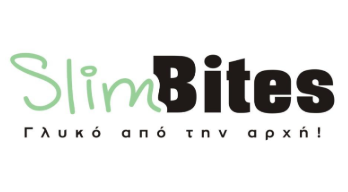 Παγωτό σοκολάτα με βάση biscuit σοκολάτας και κρέμα πραλίνας σε μορφή σπείρας στην βάση και επικάλυψη γλάσο παγωτού σοκολάτας γάλακτος. 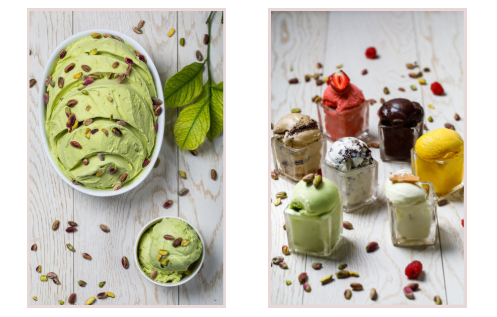 In any case, the final result is superb, thus making ice creams a favorite choice for all age groups and in all situations, especially in the summer. We always get our ingredients from local producers and never use confectionery powders. Even those who follow a sugar-free diet can find a selection of ice creams with stevia. 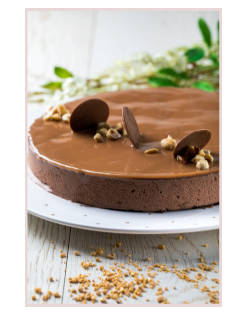 At Slim Bites patisseries you will find ice creams with flavors of vanilla, chocolate, strawberry, yogurt with mango, praline, lemon pie, stracciatella, tiramisu and many others. All with the low caloric content of stevia!